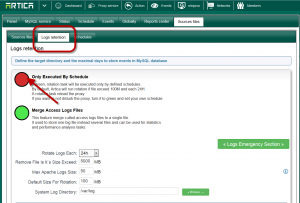 Artica is able to backup regulary access events logs files. These logs files are the source logs files that must been stored, backuped according your country law. 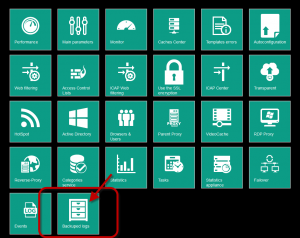 A first section display all rotated and backuped files according your configuration. By default, Artica will run rotation if file exceed 100M and each 24H. A rotation task reload the proxy. If you want to not disturb the proxy, turn it to green and set your own schedule. 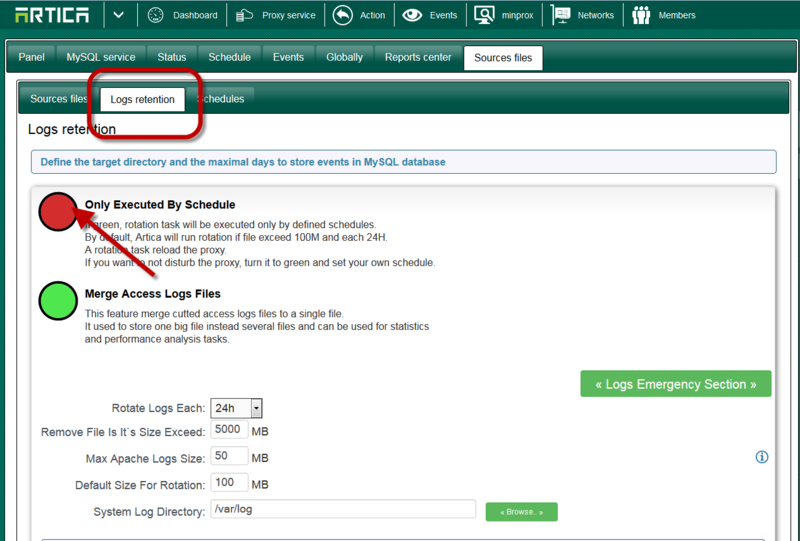 This feature merge cutted access logs files to a single file. It used to store one big file instead several files and can be used for statistics and performance analysis tasks. Remove file is it`s size exceed: MB : If log exceed this size, it will simply removed. Max Apache logs size: MB: This is for Web services only. Default size for rotation: MB: If the file exceed this size then the rotation task will be executed. 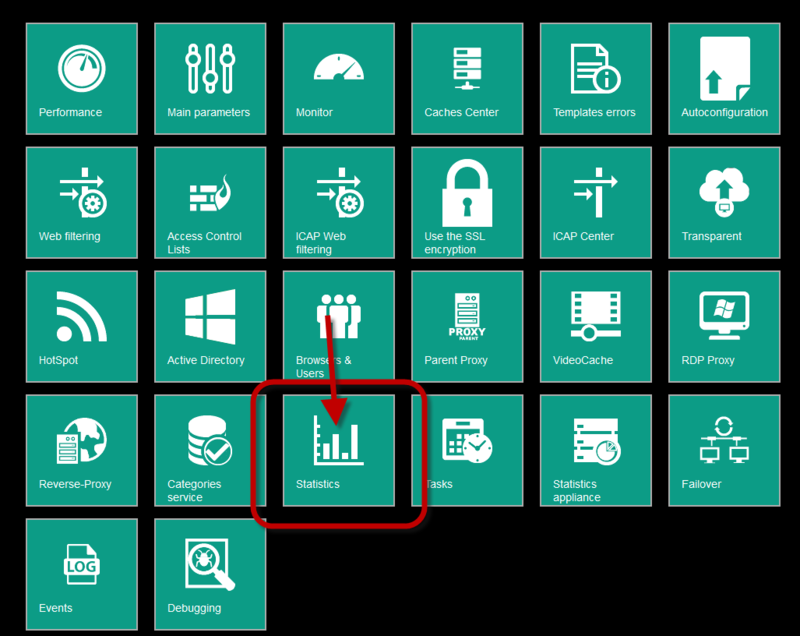 System log directory: The working directory used by services in order to write log files. Before backuping logs files, Artica will move files from /var/log to this directory. Logs will be compressed in this directory and copied to the destination (NAS, folder or other shared directory). Where to put backup containers ? This is the default storage directory is you did not use other settings to store backuped logs. If you use the local filesystem to store logs, in order to not fill the entire disk, you can define here how many days a log file can live. 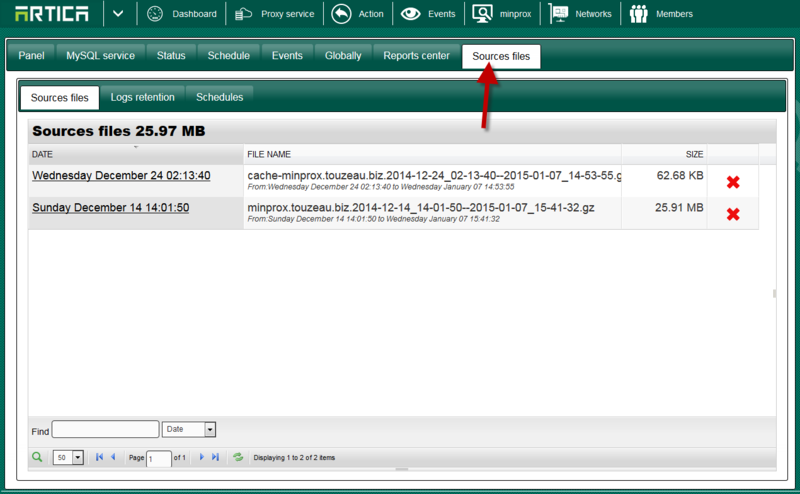 If you use external resource, then Artica will not remove old logs and this parameter will be not used. This is the space partition percentage that will be used to store backuped logs files. When this value is reached, Artica will remove old backuped files in order to not reach this limit. Shared folder name: the shared folder.